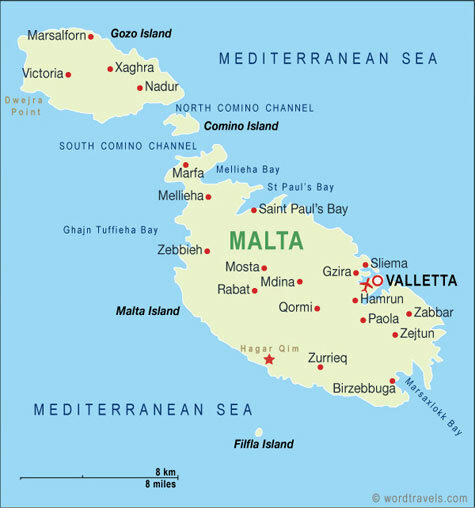 The Maltese Islands are situated about 93kms in the South of Sicily and about 290kms from North of Africa. Malta is in the ideal geographic location of the Mediterranean where efficient point for international business can meet easier. The island offers a multilingual service since most of the population apart from speaking the native Maltese language; they are also able to speak English and Italian fluently. Maltese people have a high standard of education and are well known as kind and handsome people. Some say it is an advantage to buy property in Malta because of the relaxed way of living and also our comfortable weather especially our warm Summer. The Maltese islands are considered special also because of the historical places and night life. Besides this, Malta is an investment for all ages.